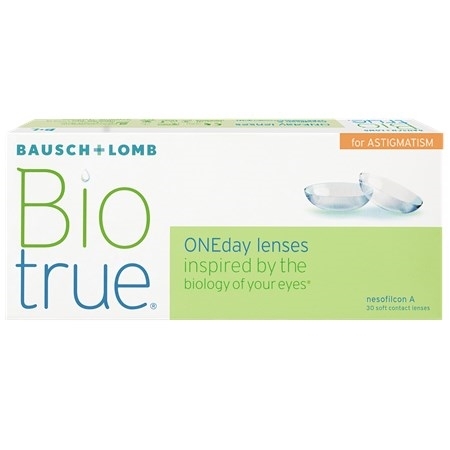 Biotrue 1 Day for Presbyopia, also known as Biotrue ONEday for Astigmatism, contact lenses are the latest contacts from Bausch & Lomb. They come in a 30 & 90 Pack and are a daily disposable lens. Including High Definition Optics technology, Biotrue ONEday for Astigmatism lenses help reduce halos and glare in low light situations.